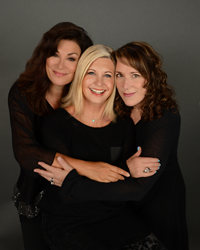 International superstar and multiple Grammy Award-winner Olivia Newton-John, Grammy nominee Beth Nielsen Chapman and SOCAN Award-winner Amy Sky are lending their vocal and songwriting talents to create “LIV ON,” a collaborative, newly recorded eleven-song collection intended for those who wish to transcend loss while walking a journey toward new-found meaning and hope. This powerful new album will be available on Friday, June 10, 2016. 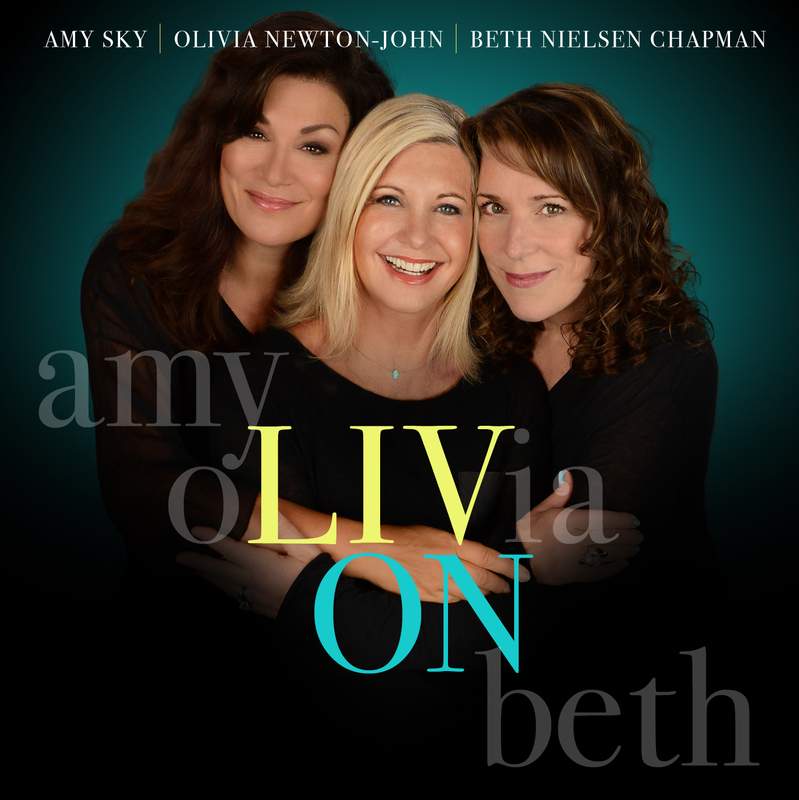 Amy Sky, Olivia Newton-John and Beth Nielsen Chapman release "LIV ON," a collaborative, new CD intended for those who wish to transcend loss while walking a journey toward new-found meaning and hope. This inspiring new project grew out of the three artists’ personal experiences with loss and illness, which they all survived to “LIV ON” and celebrate each day with a depth of gratitude. This labor of love stemmed from the trio sharing their stories together and expressing their deepest feelings from the most difficult to the most celebratory. It’s the hope that this music can uplift hearts burdened by grief while at the same time bring comfort to the listener. Loss and grief occur for many reasons - whether it’s losing a loved one, a relationship, one’s health, a pet, or a job, to name just a few. It’s important to remember that each person’s grief is as individual as his or her DNA – and there truly is no timeline for healing from loss. With the fast-paced society we live in, we are often forced to “get over things.” However, for every individual, grief has its own clock. Olivia, Beth and Amy called upon their personal experiences in creating this collection of songs which will aid, uplift and comfort those working their way through the maze of grief and loss. While taking into consideration the many causes of grief, they hope to provide the unique ability for those in need of support to heal through this music. With songs such as “Don’t Know What To Say,” “My Heart Goes Out to You,” “Immortality,” and “Stone In My Pocket,” the lyrics express different phases of the delicate recovery process while validating the experience so the listener can heal once again and soar. In addition, each artist revisits songs that have brought love and light to many of their fans. The album includes new interpretations of “Grace and Gratitude” (Newton-John), “Sand and Water” (Nielsen Chapman) and “I Will Take Care of You” (Sky). Why is this CD important? It’s estimated that approximately 76 million Americans and tens of millions more globally are set to enter into the end of life care continuum either as patients or caregivers. At no time in our country’s history have we seen such an unprecedented need for bereavement care. “LIV ON” harnesses the unique talents of these three internationally-recognized artists - and showcases the transforming power of music - to heal and shed light on the fact that it’s OK to grieve – and that the process is different for everyone. The message of “LIV ON” is clear and affirming: the reason we grieve is because we love, and therein lies the strength for healing. “We are honored to partner with the artists and mission of this project by contributing funds for creating a unique grief outreach and educational initiative to coordinate with this inspiring music,” said Paul VerHoeve, President of the Gentiva Hospice Foundation. “LIV ON” will be available on Friday, June 10, 2016. For additional information visit http://www.LIVONMusic.com, http://www.OliviaNewton-John.com, http://www.BethNielsenChapman.com or http://www.AmySky.com.